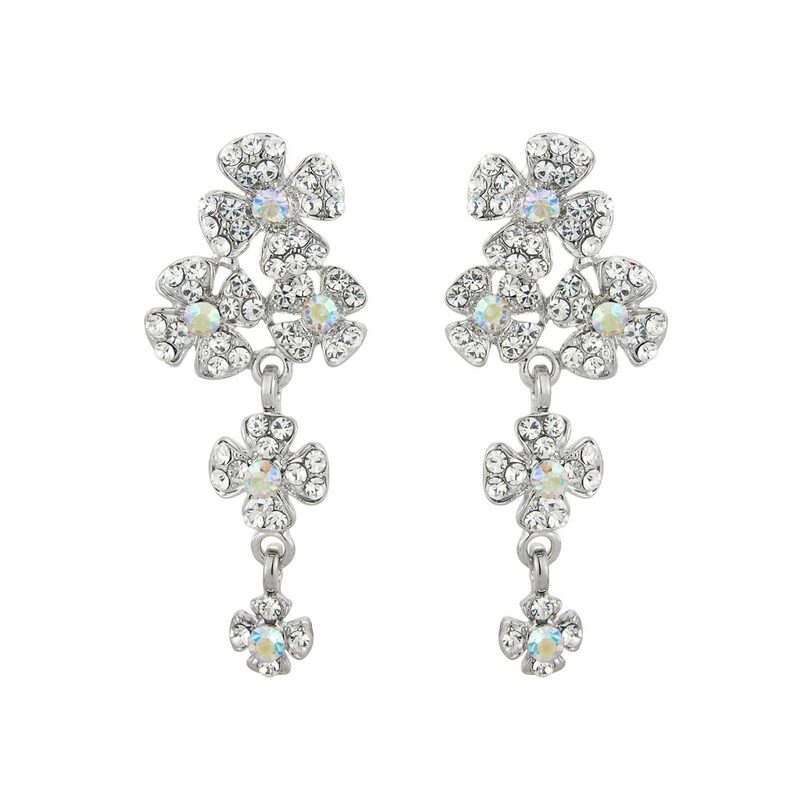 Romantic and classic, these floral AB crystal drop earrings are inspired by the late 1940s. Romantic and enchanting, these floral silver tone earrings are divine. Featuring a posy of three clustered flowers with two flower droplets, each petal is adorned with sparkling clear Austrian crystals with each flower centre accentuated with an AB crystal. Reminiscent of vintage costume jewellery from the late 1940s - early 1950s, they are perfect if you adore more subtle sized drop earrings. Beautiful earrings worn alone to add chic sparkle, they also look utterly exquisite worn with Precious Bouquet Necklace for timeless vintage Hollywood style with a hint of modern charm. Perfect to enhance crystal and floral detailing on a fabulous bridal gown, these are classic wedding earrings. Coordinate with matching necklace and a side tiara for 1940s Starlet style.